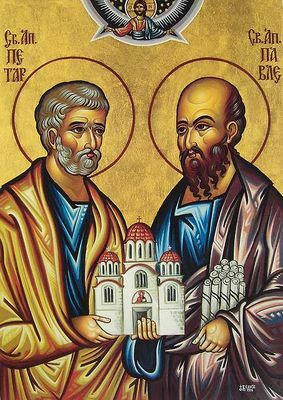 We celebrate this feast of Saints Peter and Paul because they were the two greatest leaders of the early church and heroic witnesses of what they believed. Paul’s conversion is the most remarkable in the New Testament. He was a zealot of Judaism and persecuted the Church – trying to destroy it. One day the Lord’s presence knocked him to the ground and changed his life forever. It was Jesus Christ Himself who taught the Christian faith to Paul and used his zeal to spread the faith to the Gentiles. The conversion of Peter happened over a period of time as he witnessed the teachings and miracles of Jesus. Peter was a fisherman and Jesus told him and his brother Andrew that he would make them fishers of men, when he saw them on the shore of the Sea of Galilee. Peter was the first to confess that Jesus was “the Christ, the Son of the living God.” Jesus said to him in reply, “Blessed are you Simon, son of Jonah. For flesh and blood has not revealed this to you, but my heavenly Father. And, so I say to you, you are Peter and upon this rock I will build my Church, and the gates of the netherworld shall not prevail against it. I will give you the keys of the kingdom of heaven. Whatever you bind on earth shall be bound in heaven; and what ever you loose on earth shall be loosed in heaven.” We look to Peter as the first Pope because he was the first bishop of Rome, granted the status of leader by Jesus Christ. Paul’s primary purpose in life was not to be a Pharisee zealot, nor was Peter’s to be a fisherman. They were both called to be witnesses to the Gospel, even to the shedding of their blood. Along with the other apostles, they are included in our profession of faith. I have seen where the remains of both of them have been entombed in Rome. The tomb of St. Peter is of course under the altar dedicated to him in St. Peter’s Basilica. The tomb of St. Paul is under the main altar in the Basilica of St. Paul. Another church of St. Peter that has a special significance for me is a church built over what was the house of St Peter in the town of Capernaum on the shore of the Sea of Galilee. The first time we went to the Holy Land in 1984, my wife Mary Jane and I met a young widow from Italy who was staying at the same place we were. Her husband had recently died and she came on pilgrimage to the Holy Land. She was so moved by her experience that she decided to stay there and devote her life to prayer. It was a few years later that she decided to use her inheritance to build a church over the archeological ruins of the house of St Peter. That church is built in the shape of a boat and part of the floor is Plexiglas so that you can look down into the ruins of St. Peters house. Since then, millions of pilgrims have entered that church and prayed there, and thousands Masses have been celebrated there. What she did was a great thing for the mystical body of Christ. We may not be able to do such a profound thing as she did, but we are all called to be generous with what we have for the sake of others, as a testimony of our trust in God’s providence. When we think of the deaths of Saints Peter and Paul we may be reminded of the age of martyrs in the early years of the Church, but we also must know that we are living in the age of martyrs right now. There have been more martyrs in the twentieth and twenty-first centuries than in all the years before. This century looks to be the worst ever with what is happening in the Middle East. Young men are being crucified in Syria among the other atrocities that are happening to Christians in that region and parts of Africa, and yet for many people in this country life goes on as if God does not exist. There has been turmoil in every age. However, we know from Church history that the course of events have been when changed when people turn back to God and pray with great fervor and tend to the needs of others. Let us hope that history will show that the challenges we are now facing will be conquered by a collective turning to God and fervent prayer. This feast day is not for Saints Peter and Paul, who now live in the glory of God; it is for us – to remind us of the price that these saints and millions of others have paid to keep the Faith alive for us. No matter what our career is, that is not our first purpose. Like Peter and Paul and all the saints, we also are all called to be witnesses of our faith for our own good and the good of others. We are charged with carrying the Faith into the future. There is nothing we do during the course of the day that is more important than spending time in prayer, and yet we have heard many people say they do not have time for prayer. If we do not pray we will not discover God’s plan that would allow us to reach our potential for happiness, and we will not be contributing to the wellbeing of our society and the world. God’s plan for humanity will only be realized when our relationship with him is more important than our careers, our possessions and our politics. Father Joseph Terra, FSSP, responded to noises coming from the mission courtyard after hours, and was assaulted by Gary Moran, who beat him with a rod. Moran had been released from prison in April, after a serving a ten-year sentence for stabbing a homeowner during another robbery. When Father Terra left and returned with a revolver from his residence, Moran wrestled the gun away before Father Kenneth Walker arrived to help. Father Terra then blacked out and later awoke to find Father Walker critically injured from several gunshot wounds. People clapped, gasped and cried when a man pushed Father Joseph Terra into the room full of parishioners at St. Catherine of Siena on Monday. Still in a wheelchair after being wounded last week during a break-in at Mater Misericordiae Mission that left a fellow priest dead, Terra didn’t move much. His hands were heavily bandaged, his eyes were bruised and swollen, and the top of his head was marked by fresh scars and dried blood. The 56-year-old struggled to smile as well-wishers lined up to whisper in his ear. When asked about the man who is accused of injuring him and of killing Father Kenneth Walker, 28, Terra spoke softly. “I have forgiven him,” he said. “I have forgiven him,” said Father Terra, while still recovering from his injuries. About the man who killed his brother-priest. Who would have killed him if things had just gone a little more wrongly. The Southern Catholic novelist and short-story writer, Flannery O’Connor, was Rembrandt with prose. Her characters all had a familiar earthiness and a peculiarly individual vitality. Just the opposite of modern cinematic trends, she almost never zoomed out over an epic horizon (think Spielberg and JJ Abrams). She never aimed to get the audience lost in the enormity of a scene. Instead, she magnified small details – faces, thoughts, emotions, posture, tattoos, everyday events that anyone could relate to – and used these to draw out complex dramas. From 1925 to 1964 (she died from lupus at the age of 39), she saw the waves of disorder that had come to wash over the world in her time, and she wanted people to understand the life and death stakes of grace, of choices that we all make and their consequences, in the midst of our real historical drama. The murder of Father Walker (Eternal rest grant unto him, O Lord) is like an O’Connor story come to life, and it startles me into recognizing my own condition. That is to say, we all depend upon grace utterly, with varying degrees of openness, and I may have come so far, if you don’t mind me saying. But how often do I hold onto resentments and grudges? How often do I retaliate, thinking that I deserve better from life? How many times have I assumed, “This person doesn’t deserve my kindness or respect,” and acted accordingly? Too many times and counting. This does not make it easier for others to be good. But, of course, there is always hope. Father Terra now leads his community in prayer, not only for the soul of Father Walker, but undoubtedly for the soul of Moran, too. After all, if they don’t pray for him, who will? And who better to absorb the hatred and evil of this man and transform it into radiating love, who better than the Body of Christ? Most of us are somewhat persecuted and somewhat persecutor. Sometimes the lines are clearly drawn, but not always or even usually. 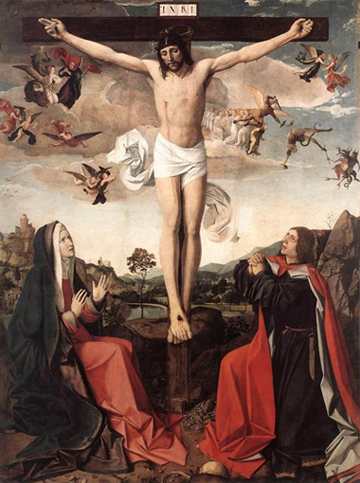 When Christ said to “love your enemies and pray for those who persecute you,” I think he meant this not only as a call to still higher virtue, but as a merciful penance for us and for our sins. We give to others what should have been given to us, because we each have taken from another what we don’t deserve. As always, Christ leads the way, giving the mercy that he should have gotten, so that we might do the same for others. There are extraordinary moments scattered throughout my life – a moment of great clarity, an elevated sense of gratitude, a point in time when the most seemingly impossible circumstances come together in the most extraordinary way. However, the truth is most of my life is made up of just ordinary moments. Most days are ordinary. Most weeks are routine. The word “routine” comes from a Latin root which means “a beaten path”; thus we also get the word “route” from the same root. And so is much of our lives. It is the beaten path of doing common, every day, run-of-the-mill things over and over again: washing the dishes, brushing our teeth, mowing the lawn, making dinner, paying bills, etc. Even when the doing of these things does not seem to make any real spiritual difference. What can possibly be significant about these things? It seems to me that God calls us, not to avoid ordinariness, but to infuse it with new meaning – to recognize that the ordinary has extraordinary ramifications and possibilities. The real question is, how can we interject the glory of God’s grace into life’s seemingly ordinary and insignificant tasks? It is ingrained in us that we have to do exceptional things for God, but we do not. We are called to be exceptional in the ordinary things of life, and holy on the ordinary streets, among ordinary people like you and me. The seemingly small things in life do matter. Let’s not forget that Our Lord was a carpenter for six times as many years as He was a rabbi. He understands and appreciates the common task, and will reward it. Have you ever been afraid? I mean, really afraid? For about two years, I went through professional counseling for past trauma that induced panic attacks. That experience helps me relate to the disciples we read about in Sunday’s Gospel. After the Crucifixion of Jesus — the man whom they believed would liberate Israel — his mortified followers gathered together, shut and locked the doors out of fear. That moment must have been when the disciples realized: the Messiah did not come to conquer political forces, or lands, as they once thought. He did not come to reign in a fortress of stone. Jesus, God’s Chosen One, came for the ultimate victory: to free human hearts from fear. He came to reign in hearts. This was God’s Master Plan; a plan to free all of humanity from the ultimate enslavement — the interior kind. This is what the disciples must have known at that moment, and so they rejoiced. When I would sit in the darkness of my closet, writhing from the torture of emotional wounds, one of the worst pains I felt were feelings of guilt and shame. Feelings of having permanently lost my dignity and beauty and freedom. In the Gospel, the apostles — men who had known the dank prison cells of fear, and experienced the liberation of Christ’s victory over wounds — are now empowered and sent to liberate others. Jesus charges them to go and break the shackles of fear, for those who wish to be free. So, why am I grateful for this day? Because when the apostles received the Holy Spirit, they were empowered to go out and free hearts likewise. They became ekklesia — people sent out (translated “church”). Today, the Church exercises this mission especially through the sacraments. As I went through years of counseling, I also participated in the Sacrament of Confession, which is called a Sacrament of Healing and the Sacrament of Reconciliation. I’m sad — and frustrated — that Confession is poorly (and grossly) depicted in pop culture, because I and countless others have there encountered Jesus and his glorified wounds. Confession is often portrayed as dark, eerie, and devoid of emotion. I did associate those things with Confession once; when I felt trapped in an abusive relationship for over a year. My life was like a maze I couldn’t escape; I often felt like I was living a nightmarish Groundhog Day. As the weeks and months went by, I would visit Confession more frequently than before. I hated that I could not seem to escape this nightmarish cycle of hurt. That’s when I began to associate Confession with self-loathing. A miracle released me from that relationship. But I still carried intense, negative, emotional baggage associated with Confession. Thus began my uphill battle to separate that baggage from the reality of Confession. Thanks to professional help, hard work, and prayer, my experience of Confession now reflects what Confession truly is: light-filled, loving encounters with a God who loves more truly and beautifully than anyone else. Unfortunately, I have heard many Catholics say: “People today go to therapists and unload all their problems, but Catholics don’t need that; we have Confession!” I admire their enthusiasm, but this attitude can be very dangerous. Confession is absolutely a place of healing. At the same time, God chooses to heal us in many ways. I hope that, if you are a Catholic who experiences intense fear, anxiety or shame, you’ll seek out a Catholic counselor. (This can feel embarrassing, but is entirely worth your effort.) He or she can help you shed light on the source of your pain and become free from any misplaced guilt or shame that may weigh you down. Through counseling paired with the Sacraments of Confession and Eucharist, I realized: God wants me to be healed and free. He wants that for you, too. Confession, experienced in a healthy manner, is truly a Sacrament of Healing. Jesus comes and offers you true peace. He shows you the wounds he suffered so that you don’t have to suffer them, too. He shows you that those wounds are glorified. He offers you a life that is new and fully-alive. I pray that you will take his hand today. What I thought was my biggest weakness has turned out to be the way for me to imitate Mary, the Mother of God, and become the woman God has created me to be. What is it? My conclusion: There is something seriously wrong with me. After my ‘encounter with Jesus’ at age 41, I returned to the Catholic faith determined to find my place in His Church. Seeking led me to discover “The Woman’s Pope,” Pope John Paul II, who wrote extensively on the holy vocation of womanhood. He coined the term for women’s nature, the Feminine Genius, and said the attributes of a woman’s nature are generosity, maternity, receptivity and sensitivity. This was the first time I heard that sensitivity was a good thing. Pope John Paul II says not only is it part of a woman’s feminine nature, but it is greatly needed to aid in humanizing the world. A woman’s sensitivity takes into account the feelings and needs of the ‘other’ and contributes, along with the other attributes, in valuing the dignity of every human person. So, then why did my sensitivity cause me such angst? What I have learned is that it matters whether your sensitivity is ordered or disordered. A disordered sensitivity is usually rooted in fear and expresses itself in fight or flight (for example: me.) An ordered sensitivity is rooted in hope and expresses itself in courage. 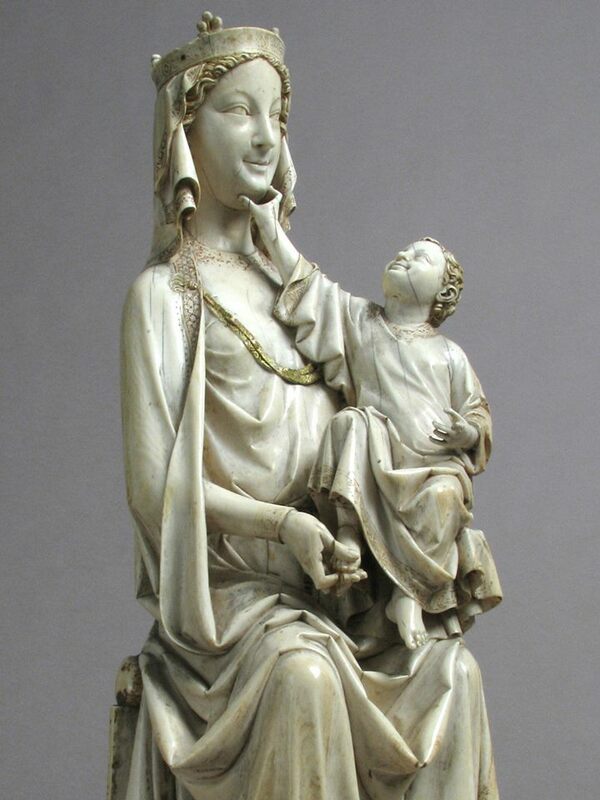 To see what an ordered sensitivity looks like we have to look no further than our Blessed Mother, the exemplar of the Feminine Genius, at the Wedding Feast in Cana (John 2:1-11). Ouch! That had to cut her to the bone (Def. #4). Many have written about this ‘rebuke’ of Jesus to His mother and what we should make of it. I believe this remark did in fact “cut her to the bone” and I believe Jesus rebuked her on purpose. He wanted to expose the place where His mother was most vulnerable; her sensitive nature and get right in there where either fear or hope takes root. He knew her request would set everything in motion, ending their quiet family life together. He knew, as Fr. Raniero Cantalamessa, preacher to the papal household, has written, “Once His ministry had started, Jesus would have nowhere to rest his head, and Mary nowhere to rest her heart.” In this tender place where the Cause of her joy was to become the Cause of her sorrow, would she choose to hold on to the Reason for her hope, come what may? This made me wonder, Were all those times I was crushed by some perceived slight, Jesus asking the same of me? 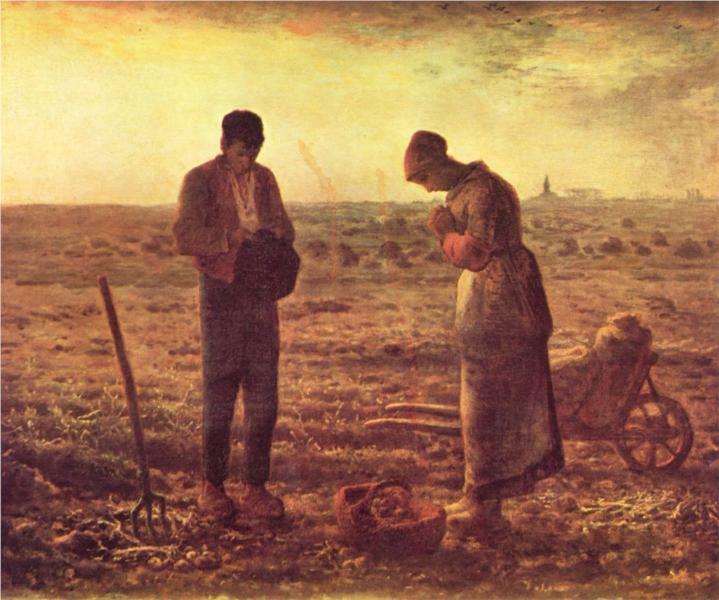 I’ve contemplated this through many years of daily rosaries and have made a most wonderful discovery: the Blessed Mother has been working in the garden of my soul, preparing it for Jesus. Through the meditation of the mysteries, her stories of Jesus have loosened the weeds of fear, softened the ground with her tears and fertilized it with her intercessory prayer. Ouch, right to the bone! Making room for Mary’s Heart to rest His Head, I chose the Reason for my hope, come what may.